This week for Top 5 Wednesday I will talk about my favorite LGBTQ+ novels. I have not many books in this category which is why I only list twi that I actually wanted to discuss. I would really love some suggestions because I would love to read more! 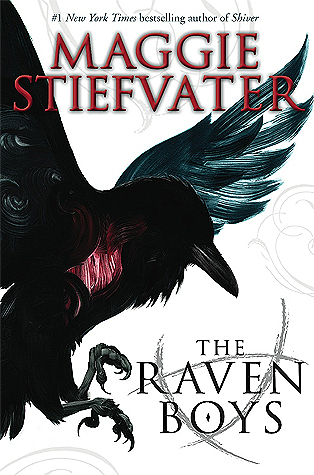 My first pick is The Raven Boys by Maggie Stiefvater. I absolutely adore this book for more reasons than one. I gave every book in this series five stars mainly because Goodreads doesn’t let me add any more. This is an amazing story of a group of friends going against powers much greater than themselves. Plot aside, relationships are key in this novel which is why it is one of my picks. The relationship between Adam and Ronan is so innocent and pure and proves two opposites can be soul mates. It’s so beautiful to watch this relationship flourish throughout the four books as they begin to accept themselves and their emotions. 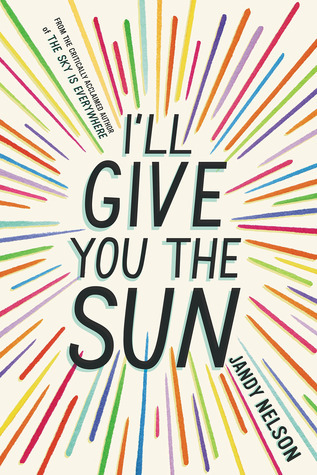 I’ll Give You The Sun by Jandy Nelson is another five star booked that I fell in love with instantly. Jandy Nelson’s writing is so beautiful and descriptive that gives life to the story. The book tells the story oh Jude and Noah who are twins and the book jumps from a young age when they are very close to them being teenagers and no longer talking and we begin to learn what led to these events. Although sibling connection is a strong theme in this novel, there is also a relationship between the twins and their neighbor Brian. Noah and Brian’s relationship is something that stood out to me from the start. The shifts in time periods allow us to learn how Noah developed to accepting himself and goes against criticisms. What are your favorite LGBTQ+ novels? Every readers struggle haha. These are a must though, they are two of my all time favorites! I really, really enjoyed The Raven Cycle too and I actually completely missed all of the hints about either Ronan or Adam’s sexuality.. I think it was the fandom that actually made me aware of there being hints and stuff. I would also highly recommend the Shades Of Magic trilogy by VE Schwab and the Six Of Crows duology by Leigh Bardugo! They both feature LGBT+ characters and are definitely favorites of mine! Thank you for the comment! Both of those have been in my radar for awhile and I can’t wait to get into them. I’m going to read the Grisha trilogy first and then dive into Six of Crows! Oh, you should absolutely read he Grisha trilogy first! A) because you’ll get spoiled for things otherwise and B) because it’s obviously so much fun seeing an author grow and Leigh definitely did between the two series! After I finish the Darkest Minds series this is for sure up next on my TBR!!! I haven’t actually read it yet but I’m planning to pick up the Grisha trilogy very soon in preparation!